There are more than 30,000 people killed in car accidents every year in the United States. More than 20 million people are injured in car accidents annually. The rate of car accidents in the United States is significantly higher than other developed countries. About a third of all car accidents in the United States involve alcohol. These statistics demonstrate just how serious car accidents can be. Depending on the type of car accident that occurs, there are different injuries that someone can sustain. It is essential for everyone to understand how a car accident happens. Weather: Weather plays a significant role in the development of car accidents. If the roads are slick, the visibility is poor, or hail is coming down, this can increase the chances of a car accident occurring. Influences: There has been a lot of attention on drunk driving recently. However, while alcohol plays a major role, prescription and illicit medications can impair someone’s ability to drive as well. Speed: Speed limits are in place for a reason. When people exceed the speed limit, they have less time to react to changing road conditions, and they increase the chances of a rollover accident occurring on curves. Without a doubt, a rollover accident is one of the most dangerous types of crashes. A recent study was published that revealed just how deadly a rollover accident can be. Sometimes, they can even lead to ejections. The risk of sustaining severe injuries is 20 times higher when someone is ejected from the vehicle. The risk of dying is more than 90 times greater if someone is ejected in an accident. With the proper equipment, ejections can be prevented, and the risk of fatality can be reduced by 70 percent. Notably, the study found that only 3 percent of people involved in a rollover accident was ejected while wearing a seat belt. Because researchers indicate that rollover accidents with ejections have a high rate of chest trauma, abdominal trauma, and traumatic brain injuries, it is vital for everyone to wear their seat belt at all times. It can prevent people from being ejected from the vehicle and could save their life. Watch YouTube Video: Road Safety and Preventing Rollover Crashes. This animated short video provides safety tips on how to drive safely on the road to prevent rollover accidents. When a family is involved in a rollover accident, it is possible to have multiple people injured. Parents and children can wind up with broken bones, head injuries, and even internal organ damage if they are ejected from a vehicle. This can place multiple people in a hospital, putting a family in dire straits. It is helpful to sit down and speak with a car accident lawyer in Modesto. I’m Ed Smith, a Modesto Car Accident Lawyer. 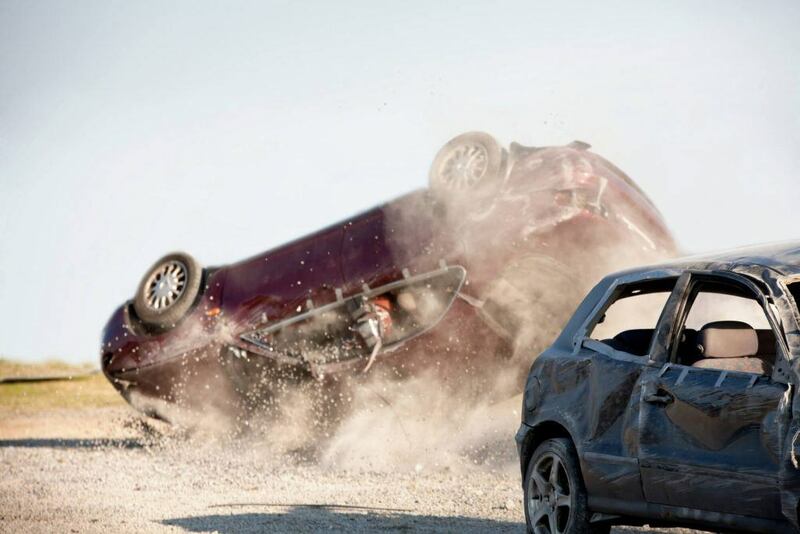 Rollover accidents can lead to ejections which can be deadly. If you or a loved one has suffered injuries in a car accident, call me at (209) 227-1931 or (800) 404-5400 for free, friendly legal advice. To see how we’ve resolved our prior cases, visit our verdicts or settlements page. Our past client reviews and ratings can be seen on Yelp, Avvo, & Google. Photo by Depositphotos.com / Rollover Accidents Causing Ejections.